PLEASE READ THE FOLLOWING TERMS AND CONDITIONS RELATING TO YOUR USE OF EASYPARK SERVICES CAREFULLY. BY SUBSCRIBING TO EASYPARK SERVICES YOU ARE AGREEING TO THESE TERMS AND CONDITIONS. IF YOU DO NOT AGREE TO BE BOUND BY THESE TERMS AND CONDITIONS, DO NOT SUBSCRIBE TO ANY EASYPARK SERVICES. We reserve the right to modify these Terms and Conditions at any time. You should check these Terms and Conditions periodically for changes. By using EasyPark Services after we post any changes to these Terms and Conditions, you agree to accept those changes, whether or not you have reviewed them. If at any time you choose not to accept these Terms and Conditions of use, please discontinue your subscription to our Services. EasyPark (which is owned and operated by Agility Ltd) provides Customers with convenient ways to pay for parking by either using our EasyPark Meter (in-vehicle parking meter) or our EasyPark Mobile (pay-by-phone or smart phone application) Services. On subscription to EasyPark Services Customer agrees to be bound by the following Terms and Conditions. 2.1. Customer agrees to abide by all rules and regulations of the respective parking authorities for which it uses the EasyPark parking meter for the purpose of paying parking fees. The EasyPark Services should be used for parking only in accordance with the posted hours of operation for the particular street or lot at which the Customer intends to park, at the posted time limit and rate. Rates, limits, and hours are subject to change by ordinance or other legislative actions of the applicable parking authority. 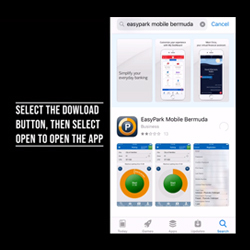 Customer understands that EasyPark should only be used in designated parking locations posted on the back of the EasyPark meter, noted in the EasyPark Mobile applications and/or on this website. EasyPark accepts no liability for fines, tickets or penalty notices Customer receives for the misuse of it Services. 2.2 The initial purchase of an EasyPark Meter is refundable, without interest, to Customer together with any unused units of time on the unit, provided that Customer returns the EasyPark meter and that it is in good working order along with the purchase receipt, packaging, cable, hanger and the instructional brochure enclosed within ten (10) business days of the sale date. There will be no exceptions or extensions of this time for return and refund of the initial purchase price. 2.3 Customer may purchase parking time by taking the EasyPark meter to one of EasyPark’s distributor locations, so that the EasyPark meter can be reloaded, or on this website using the EasyPark Meter online top up facility. EasyPark Mobile parking time can be purchased either directly from your mobile phone using a credit/debit card or using the EasyPark Mobile top up facility on this website. Customers may purchase parking time in desired increments up to a maximum of $175 in the case of the EasyPark Meter and $500 for EasyPark Mobile. 2.4 Except as noted in 2.3, Customer’s purchase of parking time is not refundable. Customer is solely responsible for the loss of his/her EasyPark meter or any parking value lost from theft or misuse. To avoid loss or theft of parking value, Customer should NOT share any of their access authorization details to their EasyPark Services. 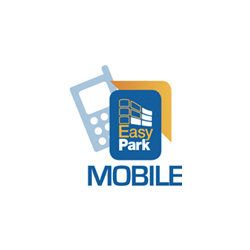 2.5 Customer acknowledges that the use of EasyPark Mobile requires the use of telecommunication services from their provider of choice. Customer agrees to bear all cost of such telecommunications services when using EasyPark Mobile. In addition, Customer holds EasyPark harmless for any loss to Customer when using EasyPark Mobile arising from any failure of the telecommunication services of its provider of choice. 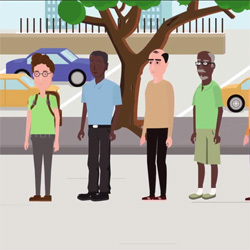 EasyPark has the right to and does charge Customers fees for the loading of parking value and/or use of its Services; and the right to amend such fees without notice to Customer. By subscribing to our service(s) you agree to pay all fees pursuant to these Terms and Conditions. Before loading any parking value to your EasyPark Meter or Mobile account, please register to this site to see the list of our applicable fees in the FAQ section of our web portal (https://easypark.bm/portal/helpdesk/faq.php?). Note: all fees are deducted or collected only as and when your deviced is either reloaded with parking value or read for recalibrating purposes. Not withstanding other rights or remedies set forth in these Terms and Conditions, or as otherwise available by law or in equity, EasyPark may immediately issue a warning, temporarily suspend, indefinitely suspend or terminate your access to this website and our Services, in whole or in part: (a) if Customer breachs these Terms and Conditions; (b) if EasyPark is unable to verify or authenticate any information Customer provides to us, should we elect to engage in such verification; or (c) if we believe, in our sole discretion, that Customer’s actions may cause legal liability for Customer, other customers, EasyPark or other third parties. 5.1 Except as expressly provided otherwise, all Services sold, licensed or provided through this website are governed by these Terms and Conditions and are provided on an “AS IS” basis. EasyPark does not make any express or implied warranties, conditions or representations to Customer with respect to the Services, third party work provided hereunder or otherwise regarding these terms and conditions, whether oral or written, express, implied or statutory. No representation or other affirmation of facts, including, but not limited to, statements regarding the performance of the Services, which is not contained in these terms and conditions, shall be binding on EasyPark. Customer acknowledges and agrees that EasyPark shall not be liable for any error, omissions, defect, deficiency or nonconformity in the Services. Without limiting the foregoing, EasyPark expressly excludes and disclaims any implied warranty or condition of merchantability, accuracy or fitness for a particular purpose or that the Services (or Customer’s use thereof) will be error free or uninterrupted. Customer assume all risks associated with the Services. 5.2 Neither EasyPark (Agility Ltd) nor its officers, directors, employees, shareholders, agents, or representatives shall be liable for any incidental, indirect, special, exemplary, consequential or punitive damage or other similar type of damages, including, but not limited to, damages or costs incurred as a result of loss of time, loss of savings, loss of data, loss of profits, loss of goodwill, loss of business opportunities or software error, whether foreseeable or unforeseeable, that may arise out of or in connection with these terms and conditions, including but not limited to, damages or costs resulting from the use of or inability to use the Services, even if EasyPark has been notified of the possibility or likelihood of such damages or costs occurring, and whether such liability is based on contract, tort, warranty, negligence, strict liability, products liability or otherwise. EasyPark’s total liability for any and all losses and damages arising out of any cause whatsoever (whether such cause be based in contract, negligence, strict liability, other tort or otherwise) shall in no event exceed an amount equal to the total amount paid for Services purchased by Customer hereunder. 5.3 EasyPark is not responsible for any loss or damage that Customer may suffer as a result of incorrectly using the Services or if Customer fails to comply with these Terms and Conditions, or any other instructions given to Customer by EasyPark. By subscribing to EasyPark Services Customer agrees to indemnify, defend and hold EasyPark (Agility Ltd), our subsidiaries and affiliates and each of our respective officers, directors, agents, employees, independent contractors and suppliers, harmless from any claim, demand, action, cost and expense, including reasonable attorneys’ fees, due to or arising out of the following events: (i) providing us with any information which is inaccurate; (ii) your breach of any warranty, representation or other obligation set forth in these Terms and Conditions; (iii) your negligence or willful misconduct; (iv) your violation of any law, regulation or right of any third party; (v) any dispute or action between you and any third party, including parties selling or advertising goods or Services on this website; and (vi) your use of this website or the products or Services of EasyPark or any third party.